Tomatoes are such a versatile fruit of the vine. It’s the tomatoes high acidity that really sets it apart from the rest of the vegetable crops. With tomatoes, I like reds with equal parts acidity, fruit and tannins. Those favored reds to have with tomatoes all have their roots in Italy, Barbera, Chianti and Sangiovese. Chianti is a blended wine with a preponderance of Sangiovese. Sangiovese is Italy’s most widely planted grape with vineyards in Tuscany being the most heavily planted to the grape. There you can drink Chianti, Brunello, Vino Nobile and Super Tuscans, all made with Sangiovese. But with tomatoes, I reach more towards Barbera. Second only to Sangiovese in production and versatility, it’s naturally high in acidity so it does very well in warmer climates, like Italy, California and Eastern Washington. Barbera reaches its zenith in the Piedmont region where you can find labels stating Barbera d’Asti and Barbera d’Alba. It also does best on the well-drained, limestone slopes of Asti and Alba in northwestern Italy. Even the warmer sites in Eastern Washington, Sonoma Valley and the Sierra Foothills produce some fantastic Barberas. This acidity complements the fruit flavors and the wines are ripe, bright and tangy, a perfect match for Ann Vogel’s Tomato Tarte Tatin. Barbera is a dark-skinned variety found in several Italian wine regions, including its native Piedmont, Emilia-Romagna, Puglia, Campania, Sicily and Sardinia. Barbera can be both on its own or blended, usually with that other Piedmonte grape, Nebbiolo. Like so many Italian grape varieties, Barbera has an interesting history. It was recorded in the cathedral of Casale Monferrato archives where leased vineyards were planted to Barbera between 1246 and 1277. Barbera was well regarded for its “rustic yet generous” character. It was a favorite among army officers, who considered the wine a “sincere companion” and helped them maintain their courage in battle. Also cited in a Società Agraria di Torino document in 1798, there you can read the first definitive list of Piedmont’s grape varieties. This varietal’s bright and cooperative nature has made it equally popular in California. Barbera is the sixth most planted red grape in California, but is rarely bottled alone. Loved for its color and acidity, Barbera is usually blended to tame other varietals into better balance. So where to start with Barbera? I would highly recommend Italy’s La Spinetta Barbera d’Alba or d’Asti, Prunotto Barbera d’Asti Pomorosso, Sandrone Barbera d’Alba, Seghesio Barbera d’Alba, Vietti Barbera d’Asti Tre Vigne or d’Asti, or Voerzio Barbera d’Alba. 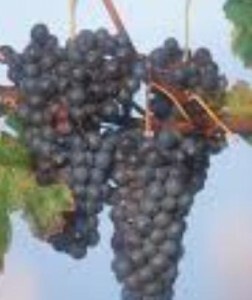 Early California planters and producers of Barbera were Martini, Seghesio, and Sebastiani. Sebastiani was winning awards for his Barbera in the 1930s. But in this century, I’d choose a Montevina Amador Barbera, Sobon Estate Amador Barbera, Seghesio Alexander Valley Barbera, Shenandoah Sierra Foothills Reserve Barbera or Renwood Amador County Barbera. Cavu Cellars Barbera Rose, Facelli, Maryhill Winery, Stomani Cellars, and Wind Rose Cellars all produce Barberas from Washington grown grapes.